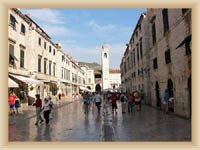 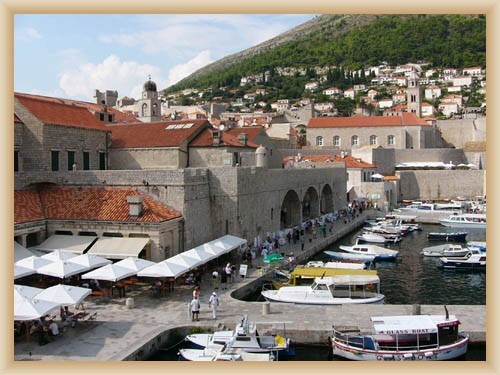 Town with the harbor is the centre of region Dubrovnik – Neretva and also the centre of tourism in the south Dalmaci. 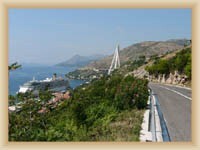 The chief occupations are tourism and marine activities. 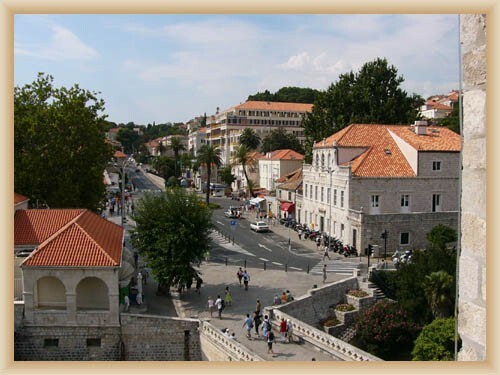 The most important institutes are Marine University, University of tourism, the centre of postgraduate studies and HAZU Historical institute. 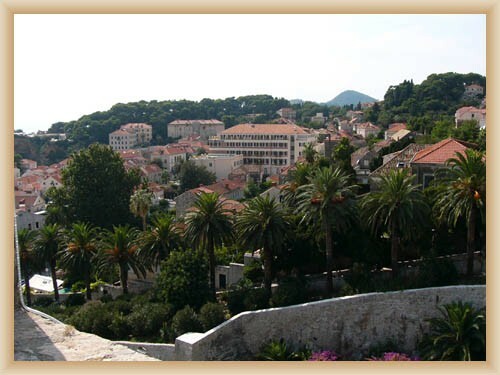 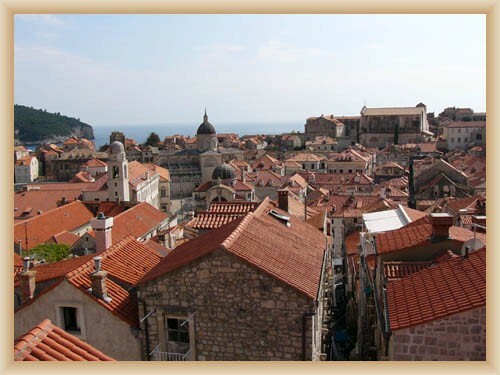 When was the port built in the bay Gruz, Dubrovnik started to develop near the old town. 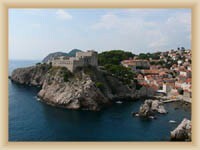 Two villages were connected to one town located behind the town wall, near the peninsula Lapad, the hill Srd and the bay Zupa. 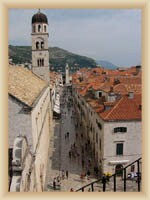 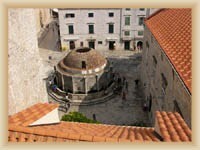 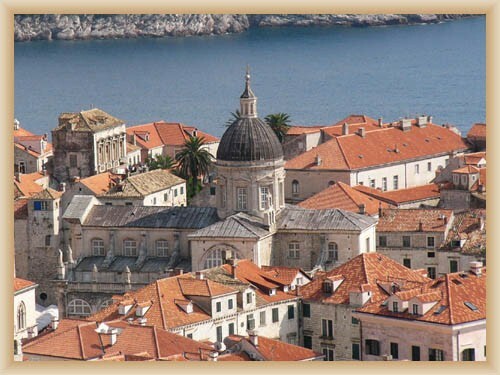 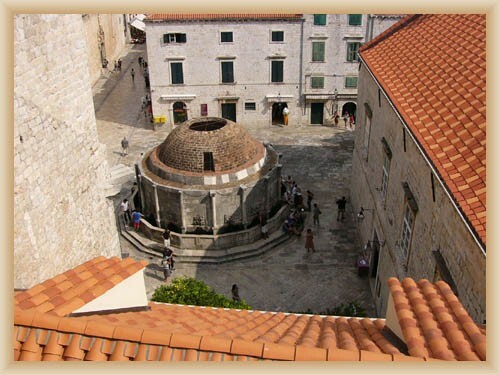 Dubrovnik has a rich history – it is the part of UNESCO. 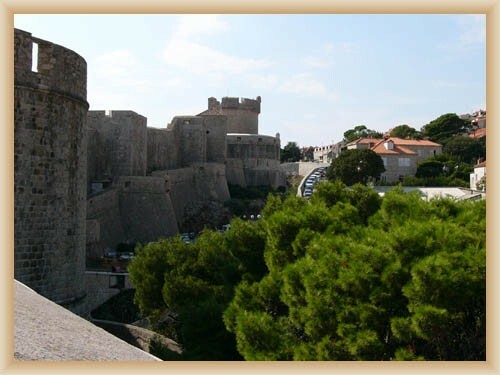 Dubrovnik is very attractive for tourist because has beautiful surrounding, cultural and architectonic monuments and good transportation system. 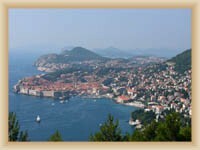 Summer festival is scheduled each year from year 1950. 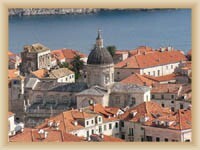 Almost all hotels are located at the peninsula Lapad and around Ploc. 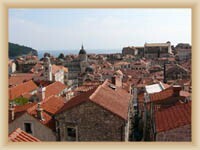 Some of them are rebuilding, because war for independent hits Dubrovnik. 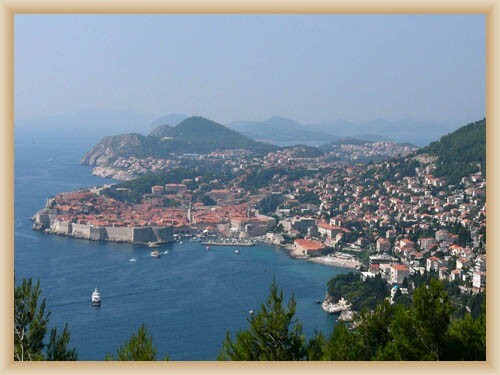 International airport Dubrovnik is located near the village Cilipi. 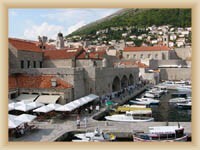 Dubrovnik has local and international ferry lines. 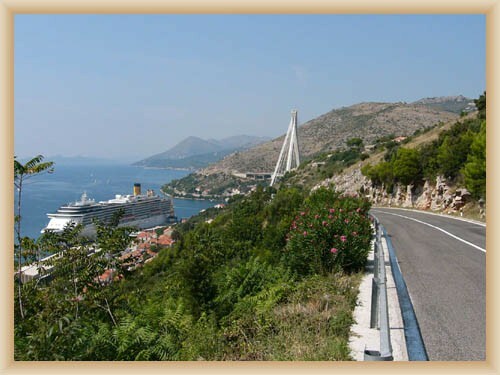 Local lines are Dubrovnik – Sobra (Mijet) and Dubrovnik – Sudurad (Sipan) – Sobra (Mijet), international ferries are Rijeka – Zadar – Split – Stari Grad – Korcula – Sobra – Dubrovnik – Bari and the connection with the Greek town Igoumenitsa. Hotel village Babin Kuk – leis at peninsula above the bay Sumartin, near the town centre. It is the one of the biggest hotel complexes in Dubrovnik. Babin Kuk offers sport’s centre, parks and big shopping centre. 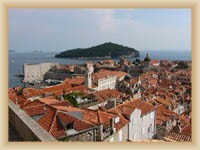 Lot of hotel buildings offers great view to the islands Elafiti. 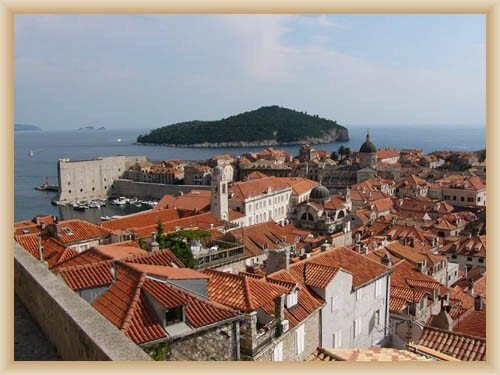 Old town – Dubrovnik was established in the first half of 7th century after the fall of the wall. The centres of the town are Stadjun and Placa, in the centre are beautiful little streets, buildings, churches, and palaces. 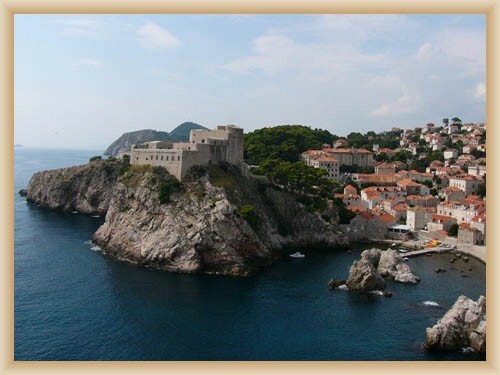 Dubrovnik has a big marine – 200 ships and 5000 mariners. 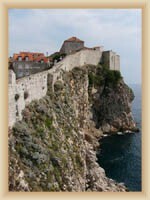 The famous wall around the town is long 2km and somewhere is 20m high, and is still in the great condition. The wall has 3 rounds and 12 square citadels, 5 towers, two corner forts and large fort. 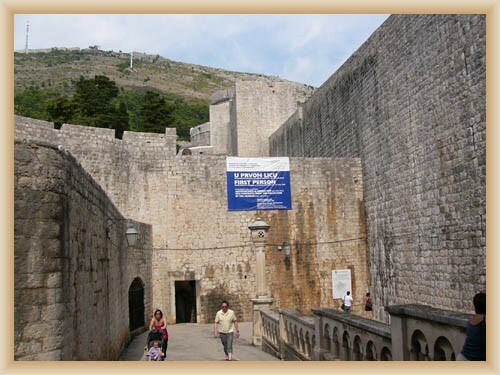 Town is protecting by big fort Revelin at east and by fort Lovrijenac at west.